I would have needed some valium to be this calm. The president was very calm when answering. 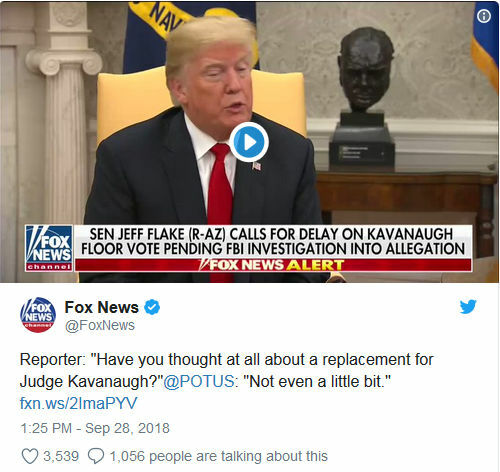 He is already two steps ahead of the Dems and their puppet Flake. This only cuts it if Kavanaugh ends up being confirmed. If not, we expect Trump to be Trump eviscerate those responsible for his nomination failing. He’s gotta quit being so freaking political. Grassley did not “do a great job” (quite the contrary - the guy was a disaster) and Ford was not a “fine woman”. Start calling it straighter, Mr. President. We expect that of you. Trump will control who gets to do the investigation. They will do a thorough and professional job. They will report what we already know. The image of Zathras on valium makes me laugh. As to the president's comment, I guess he realizes there is not a lot he can do about it - it is the Senate's show (or circus in this case). I think it's crap, but on the other hand it does yank the whole FBI investigation thing from the Dims as a talking point. It does open up the possibility of more fake accusers, but I am not sure the Dims can get a lot of mileage from that a second time on the same target, especially after Avenatti's injection into the process. If Trump is this calm, things are ok... and the universe is unfolding as it should. .. with a massive hat tip to whoever came up what has to be one of the best political posters EVER ! 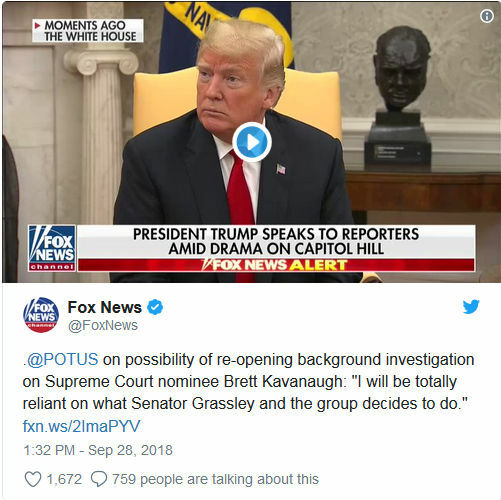 "Grassley was such a disaster that he couldn't even get Kavanaugh a Judiciary Committee vote in favor of confirmation on the Senate floor." -- said nobody, ever. Yeah me too. 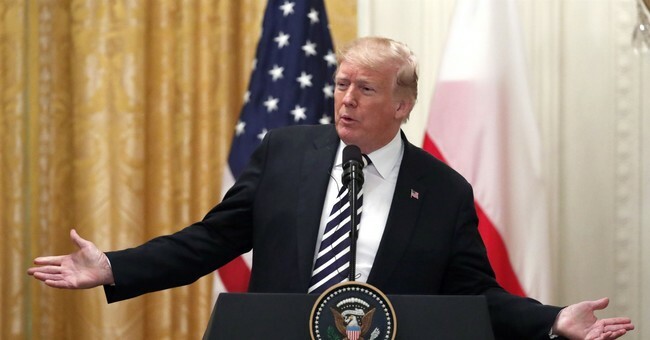 DJT is a cool customer. He’s way better than. If I were in his place I would go ‘Flake is a RINO retard and the rest of these Republicans are a bunch of spineless cowards”. Repubs need to start using scorched-earth policy - make it so Flake will never work again in Washington. For anybody. Ever. Have the damned vote Saturday morning, and any Repub that votes NO will be stripped of any committee membership and WILL BE PRIMARIED.